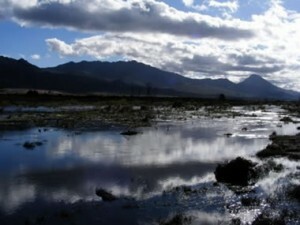 On 8 December 1660 the Dutch East India Company’s Ensign Jan Danckaert saw a sight which was to make a lasting impression on him: in a river valley in the interior there was a herd of about 300 grazing elephants, and for the remainder of his journey of exploration he was to call it the Olifants River. It was however only in 1725 that the first loan farm in the region, Modderfontein, was granted to Jurgens Hanekom. The town, Citrusdal, was established two centuries later, in 1916, when the Dutch Reformed Church bought a plot and the township was laid out. Only 10 years later The Good Hope Co-operative Citrus Company Limited was established. The founding meeting was held on 5 May 1926 and registration was approved on 31 August 1926. 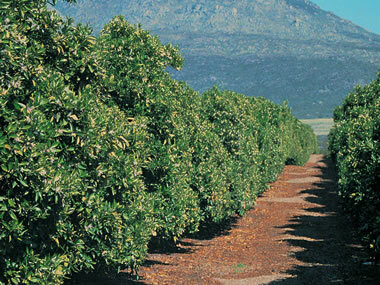 “The reason for the formation of this company is a desire on the part of the citrus growers of the western, south western and north western areas of the Cape Province to co-operate and by uniting, strengthen their own interests and those of the whole industry”. “So far the financial success of the company is concerned, the status of its grower members should prove a sufficient guarantee as to this when it is estimated that in the surrounding area there are 150 000 bearing citrus trees and more citrus planted which have not yet reached the bearing stage.” During March 2000 the company’s application to transform from a co-operative to limited company was approved. Aforementioned heralded the new Goede Hoop Citrus (Pty) Ltd.